I'm pleased to annouce the launch of a new site, for an exciting new exhibition at Somerset House. 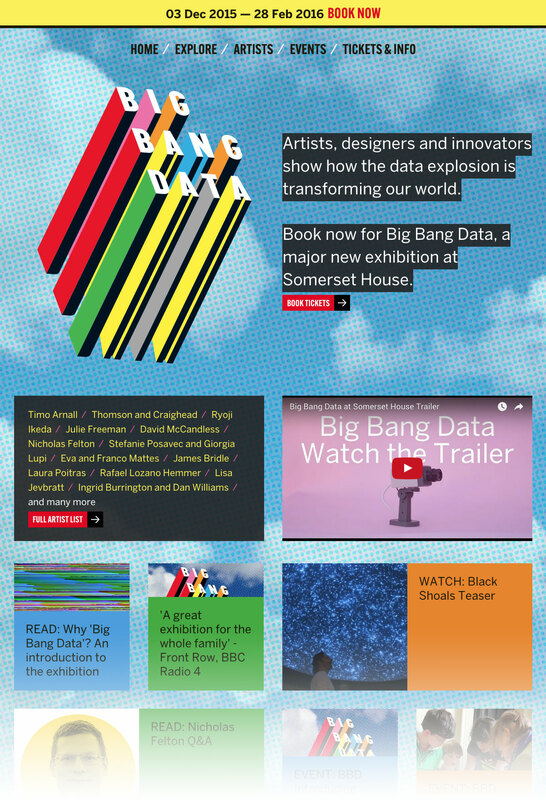 Big Bang Data is an ambitious programme, looking at the technical, cultural and social issues around the huge amounts of data we all generate. Working with Morag Myerscough's vibrant visual identity, I designed a site that allows for exploration of the exhibition's various themes and contributing artists. It was a really fun project, and I worked with an excellent team (assembled by Katy Beale) to bring the site to life. The exhibition's on until the end of February 2016.